I live in Leeds west Yorkshire. My choice of medium is acrylics which I enjoy working with. It gives me the same results as water colour for blending and texture can be achieved by building the medium with out water to give an oil paint effect. 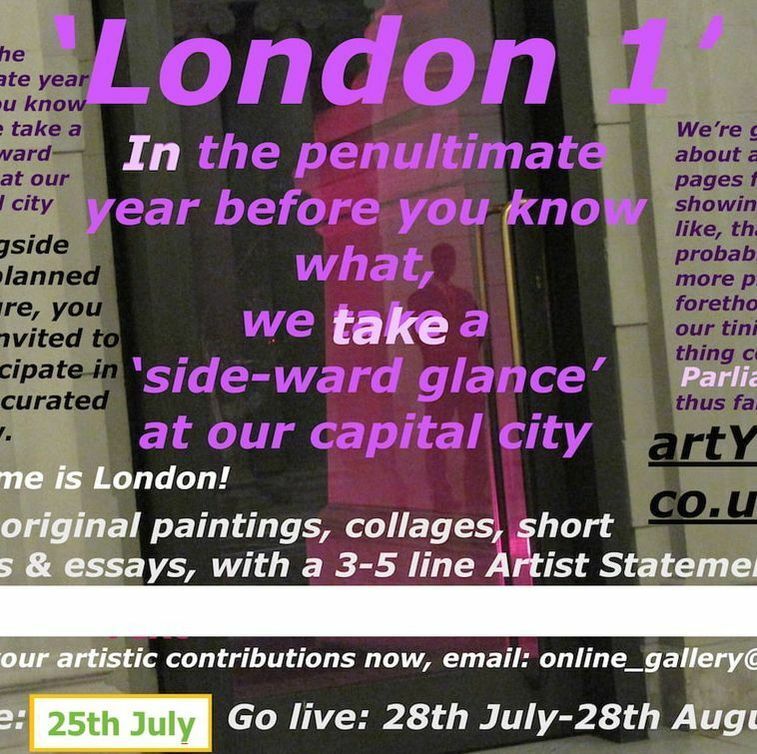 What would you say about London? How would you say it? I would like to use the image above. It is a true story about a young girl called Corinna. She loved every thing about London and travelled there a lot. Her family lived there but moved away. 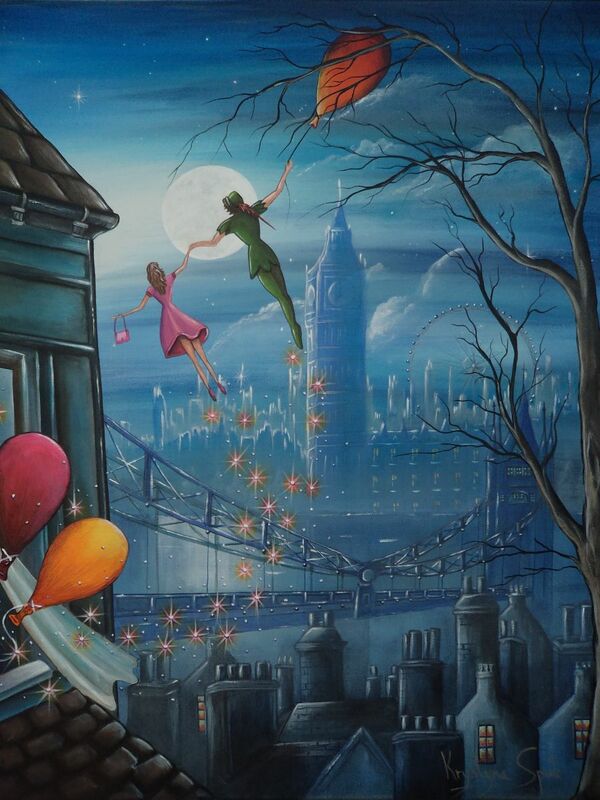 As a small child she would dream that Peter pan would come in her bedroom window and take her flying across London . Each night she would leave her window open hoping he would come for her. One night on her 18th birthday....she heard something and there he was standing on her windowsill. They fell in love and got married last year in New York after Peter proposed to Corinna in front of the New York Christmas tree. To me London is a magical place and any thing is possible there. Say something nice to Krystina about her work.